This article is about Locus Pléthore. For other uses, see Locus. The HTT Pléthore is the first Canadian supercar, developed and produced by HTT Automobile in Quebec, Canada. A HTT Pléthore with its doors open upward. It debuted at the 2007 Montreal International Auto Show as a pre-production prototype under the name "Locus Pléthore", under the supervision of Luc Chartrand. It has a supercharged 6.2L V8 with 750 hp (560 kW) and 655 lb·ft (888 N·m) of torque or an optional high performance home made engine with 1,100 hp (820 kW). This engine is supported by Pratt & Miller and based supercharged V8 from the Corvette ZR1. The chassis and body are made entirely out of carbon fibre with no engine subframe, resulting in the chassis being exceptionally rigid. The car will weigh approximately 1,089 kg (2,401 lb) and, if mated to the 1,300 hp (970 kW) engine, will have a power-to-weight ratio equivalent to that of a Formula One race car. Two prototypes were constructed, the second suggests a centre seating position previously featured in the McLaren F1, 1966 Ferrari 365 P prototype, and the 1969 Bizzarrini Manta Concept. HTT Automobile plans to custom build a limited lifetime production run of 99 Pléthores. On February 16, 2011, the Pléthore was featured on CBC's Dragon's Den. Sébastien Forest & Carl Descoteaux put forward their pitch for Canada's first supercar, asking $1.5 million dollars for 20% of their company. Subject to completion of due diligence, W. Brett Wilson and Robert Herjavec offered to become partners in the company by purchasing 20% of the company for $1 million, providing an additional $500,000 in loans, and acquiring the rights to purchase 3 Plethores at cost, including the first car to be sold in Canada. This deal fell through after the transmission failed during a test drive, however an unidentified party stepped in after their television appearance with the necessary funding. HTT plans to make 6-7 cars a year with 6 cars registered as pre-sold. The HTT Pléthore also makes an appearance in the video game Asphalt 8: Airborne. ↑ "2007 Locus Plethore Prototype". Supercars. Retrieved 2013-06-26. ↑ "HTT Pléthore's competencies". HTT Automobile. 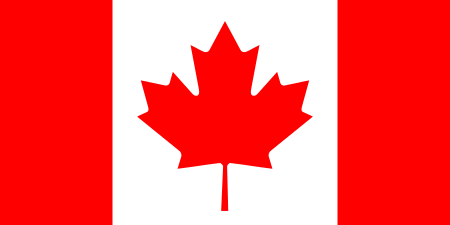 ↑ "Canada's ultimate supercar - 2009". BBC TopGear. 2009-11-11. 1 2 3 4 Mary Teresa Bitti (2011-02-21). "Dragons breathe fire into Plethore". Driving.ca. Retrieved 2013-06-26. ↑ Noah Joseph (2007-01-19). 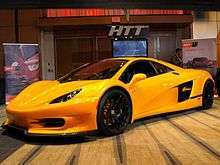 "Montreal Auto Show: Locus Plethore supercar unveiled...almost". Auto Blog. Retrieved 2013-06-26. ↑ Paul Choi (2011-02-17). "Speed thrills as supercar dazzles Toronto AutoShow". The Star. Retrieved 2013-06-26. ↑ Bryan Borzykowski. "Business plan: Can a Canadian company make the next Bugatti?". Profit Guide. Retrieved 2013-06-26. ↑ David Booth. "Coming soon: Canadian hypercars". MSN Autos. Retrieved 2013-06-26. ↑ "Chilling Performance: HTT Plethore LC-750 Supercar". WorldCarShows. 2011-03-08. Retrieved 2011-08-08. Wikimedia Commons has media related to HTT Pléthore.